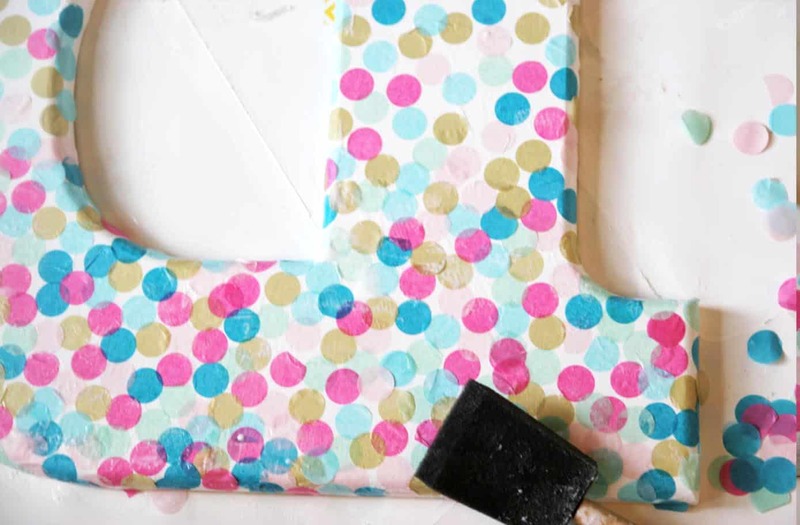 Learn how to make decorative letters using confetti and Mod Podge! 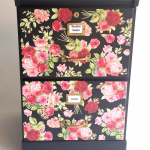 This project is perfect for a kids' room or craft studio. Skills Required: No Crafting Experience. This project is extremely easy. 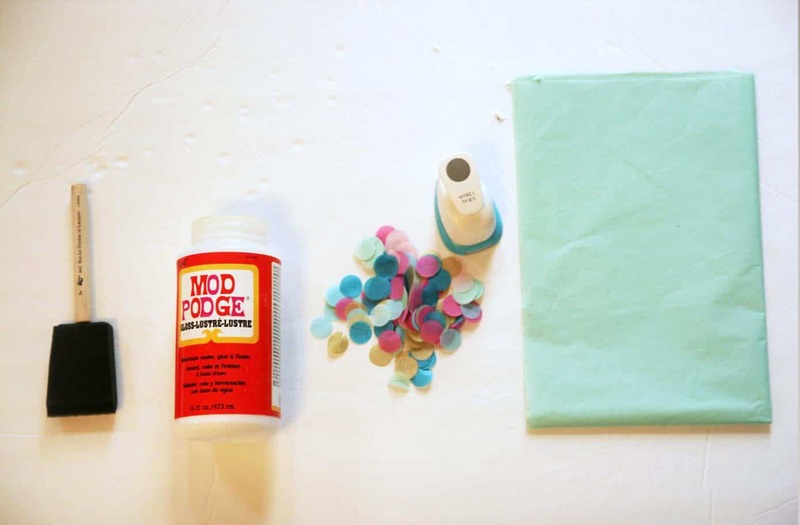 You'll be able to accomplish it even if you've never picked up a paintbrush or opened a bottle of Mod Podge. Don't forget to scroll down to the bottom of the post to get a video with 8 bonus ideas for how to decorate wood letters. I promise you're going to get addicted! I am in the process of moving my daughter into a big girl bed and decided that we need to spruce up her decor a bit for her big girl room. I have been loving the confetti trend in home decor and thought I would try my hand at it with some decorative letters. 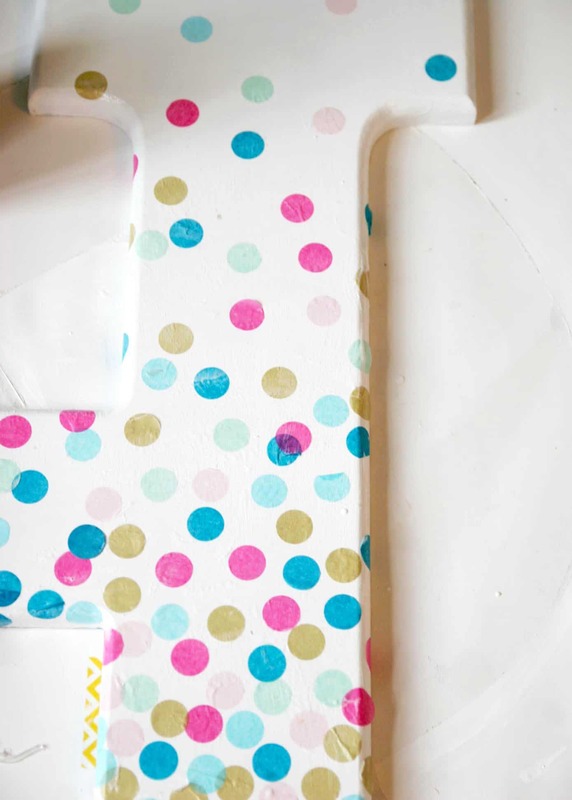 This DIY confetti letter was so easy to put together and I just love how it turned out. 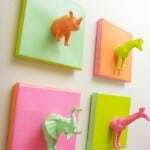 It's so festive and fun for a kid's room or nursery. You could change up the colors for a boy or even put one in an office or craft space – and of course, add a bunch of them if you like! It's hard to tell from the photos, but the letter I used is huge. My mom gave it to me and although I loved the size, I did not love the color. So I gave it a few coats of bright white. 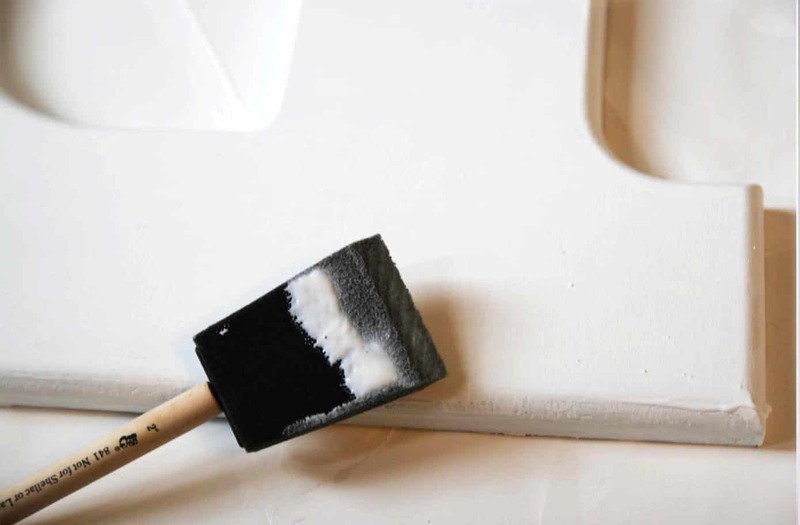 You will need to work in small sections since the Mod Podge dries so quickly. 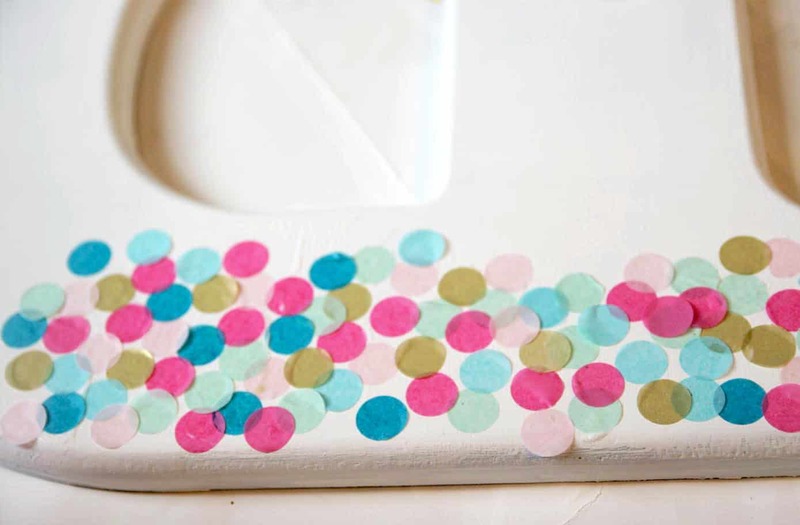 Brush some Mod Podge on a section and then begin layering on your confetti. 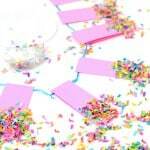 I made my own confetti by using a large dime size round punch and tissue paper. 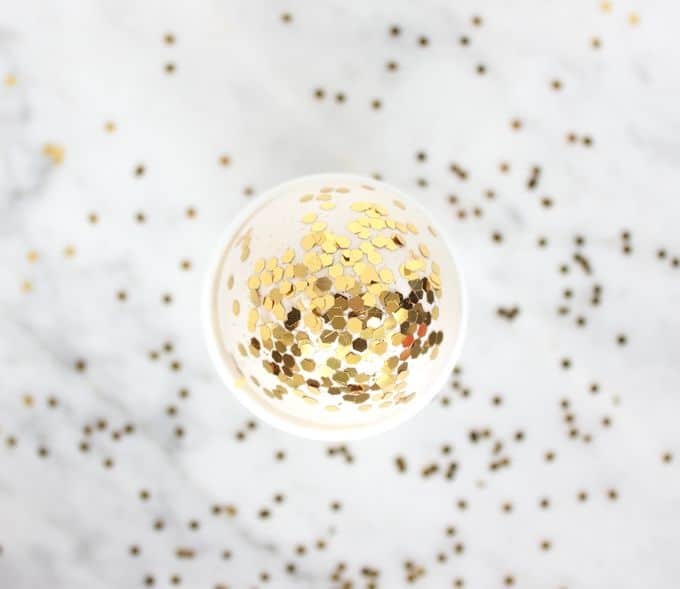 Start spacing out the confetti as you get closer to the bottom of the letter. Don't forget to add some to the sides as well! Brush on a layer of Mod Podge over the whole thing to seal it. Hang your DIY confetti letter and enjoy! 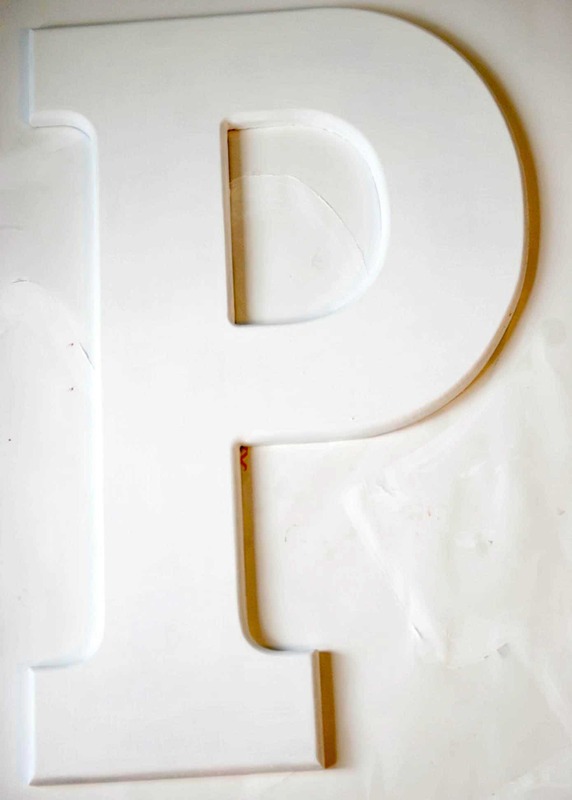 Make more decorative letters in just the same way. 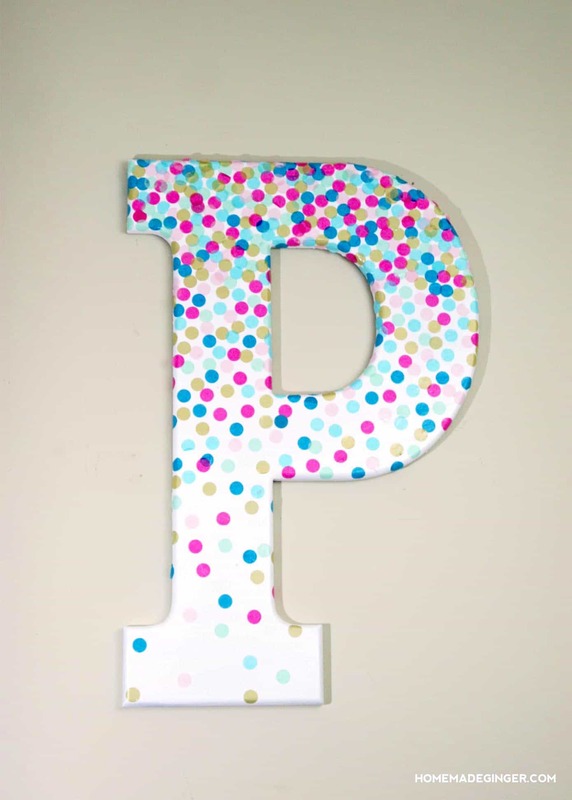 This letter wall decor is some of my favorite ever! 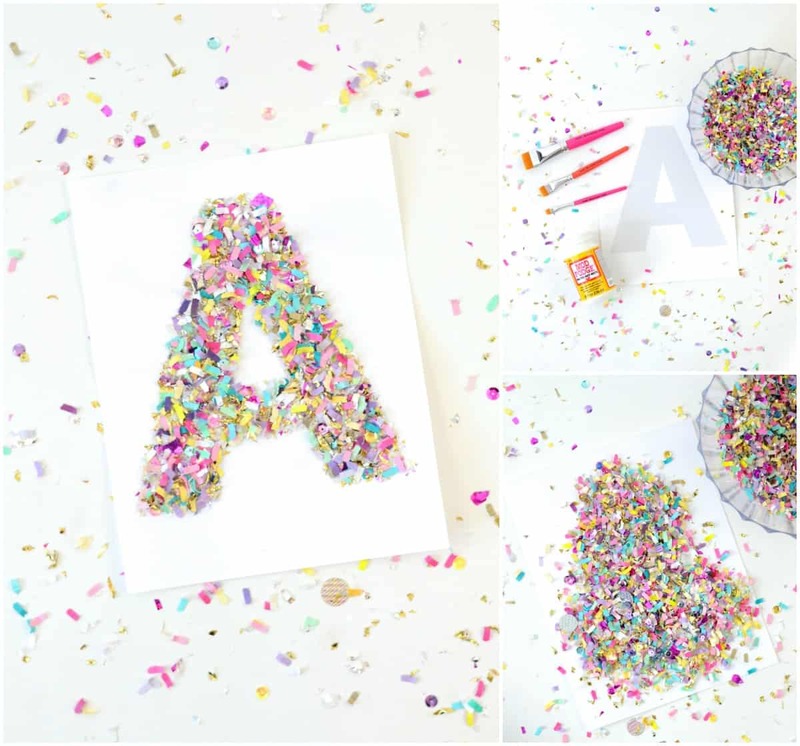 For another variation on this project, try this confetti monogram letter art below! Very nice blog post/tutorial. Thanks for sharing. This letter is so cute! 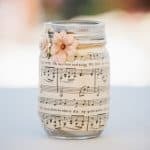 I want to make one for my daughter’s room! How big is this letter. The biggest I can find is 21cm?